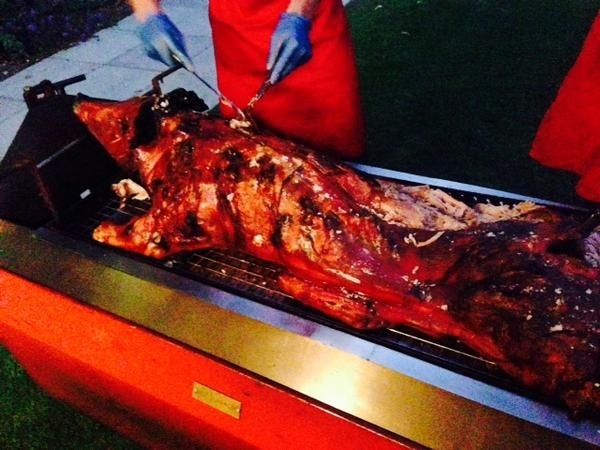 Yorkshire Hog Roasts from Happy Hogs Catering as well as Pig Roasts and Barbecue food across the region. 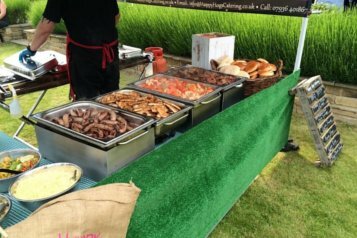 Call or email our Hog Roast Catering team for a free quote, we can help give advice about the food and menus available for your event. 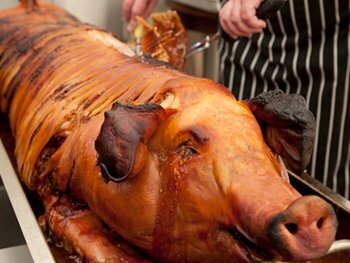 Our Hog Roast Catering service is award winning and second-to-none in Yorkshire; we only use fresh and free range locally sourced produce! 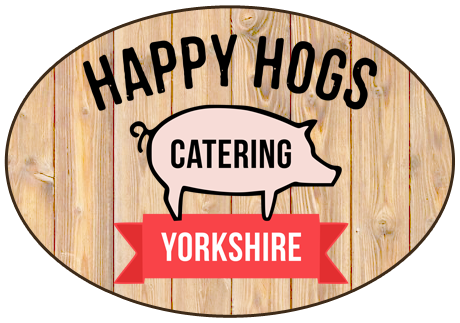 Happy Hogs Catering Yorkshire, the north's Multi Award Winning Hog Roast Caterers, Wedding Caterers and Event Caterers for many years. We specialise in professional quality free range Yorkshire Hog Roast, Pig Roast and Barbecue catering across Yorkshire - with highly certified and trained Hog Roast Caterers serving both indoors or outdoors to make your event or special occassion as tasty as possible! 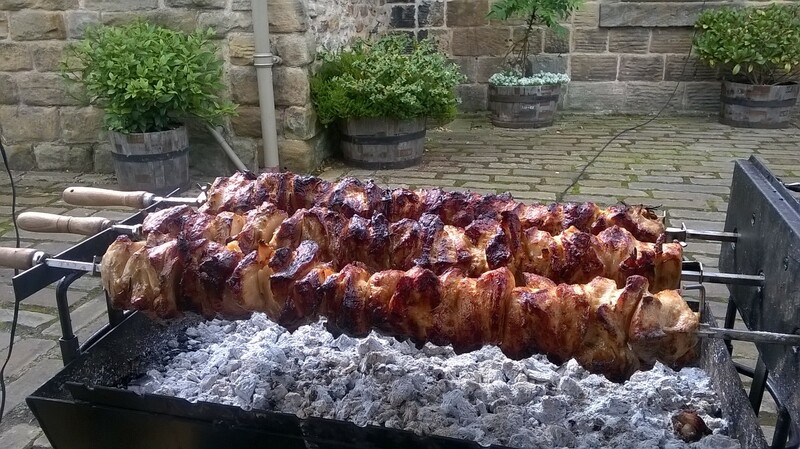 Our Yorkshire Hog Roast caterers and Barbecue catering team only use the freshest local ingredients and meat that is free range and locally sourced. 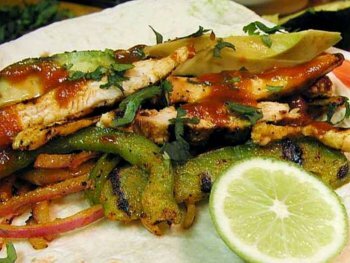 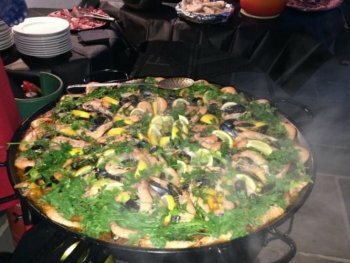 We have won numerous catering awards for both event catering and wedding catering. 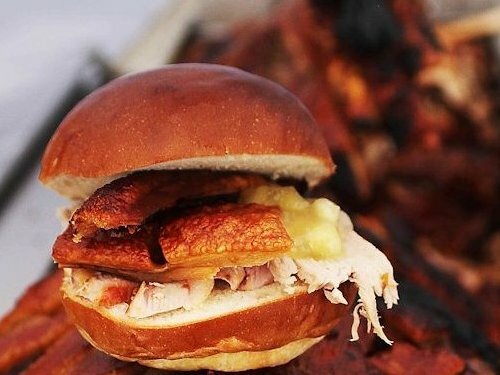 Hog Roast Catering not only tastes delicious, but always entices and draws a crowd - our Yorkshire Hog Roast and BBQ catering will always ensure to help make your event more atmospheric and memorable! 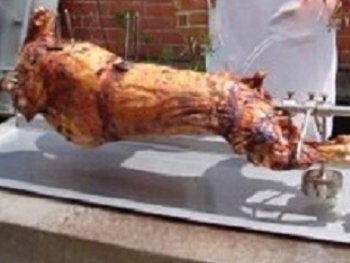 As one of the UK’s leading hog roast caterers, and as modern day experts that specialise in wedding and event catering we are able to provide everything you could possibly need for an outdoor pig roasting event that will leave a wonderfully memorable and long lasting impression on you and your guests. 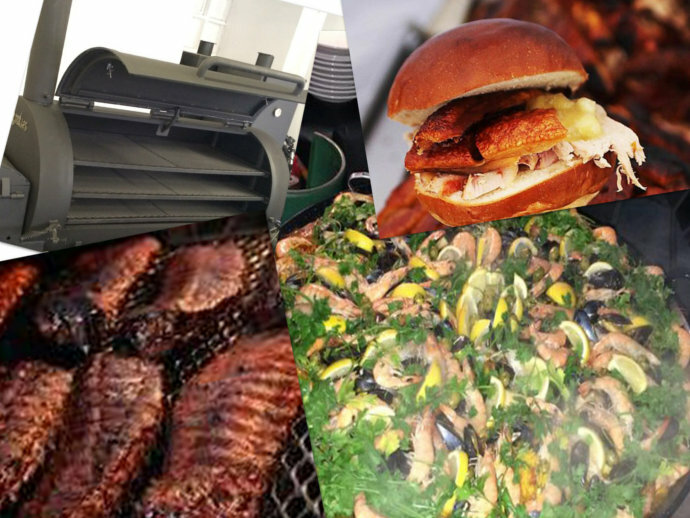 Regardless of whether you are hiring our services for a small or large wedding reception, a large scale outdoor corporate event, a prestigious food festival or any other occasion where good company and spectacular cuisine are to be enjoyed side by side, our highly motivated and incredibly enthusiastic team of hog roast caterers are always available to provide the best quality food at the most surprisingly affordable prices! 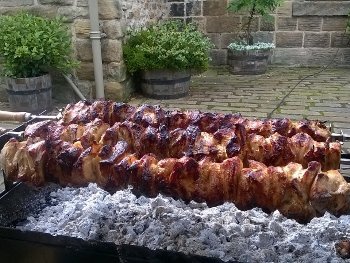 As leading hog roast caterers our Yorkshire Hog Roast Catering and Barbecue food is the very best available and suitable for indoor or outdoor event catering and special occasions. 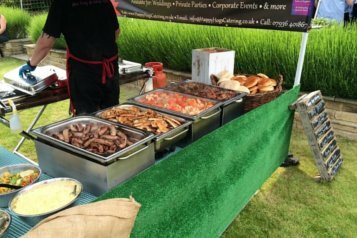 We provide everything you could need to give the best event catering experience, from canapes and sharing boards to some lovely side dishes, salads and desserts that are all designed to be casual outdoor/indoor hog roast and BBQ food. 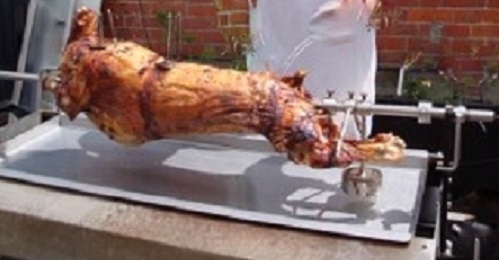 Our hog roast caterers cook the Hog Roast or BBQ to perfection using the very best free range locally sourced produce along with our own homemade dips, rubs, marinades and side dishes that will leave a wonderfully memorable and long lasting impression on you and your guests! 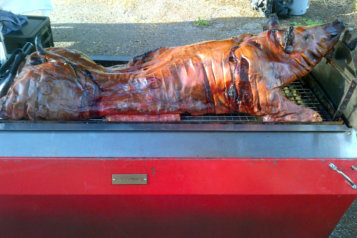 Succulent hog roast catering cooked using free range award winning livestock. 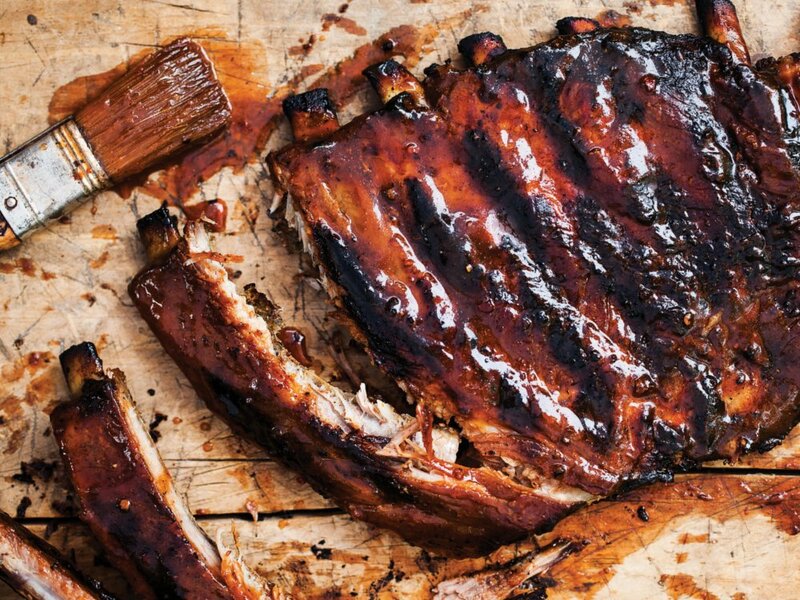 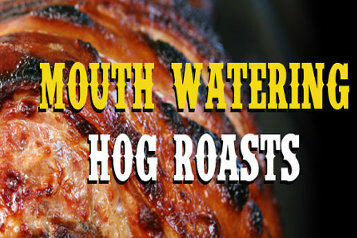 mouth watering Pig Roasts, cooked low & slow ensuring perfect tender pulled pork. 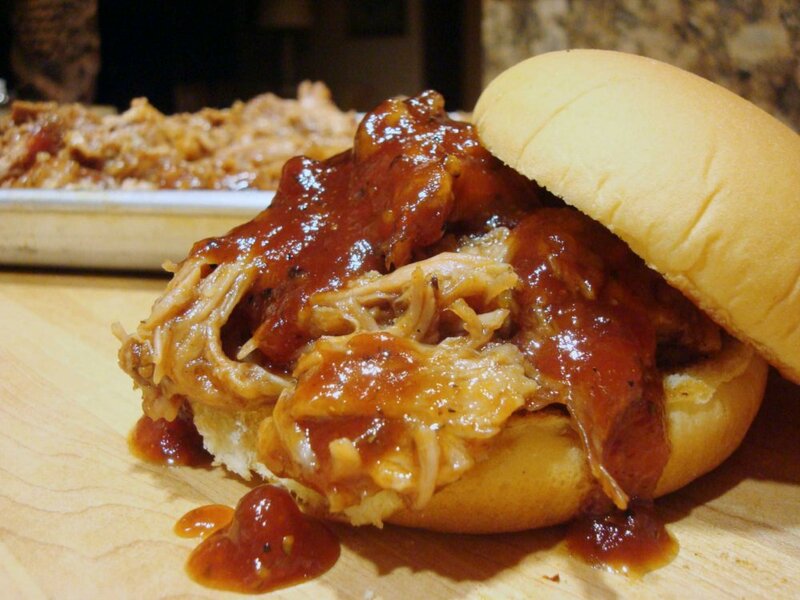 Barbecue catering options for any party or special event. 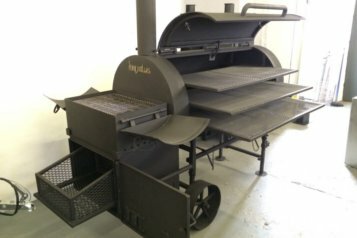 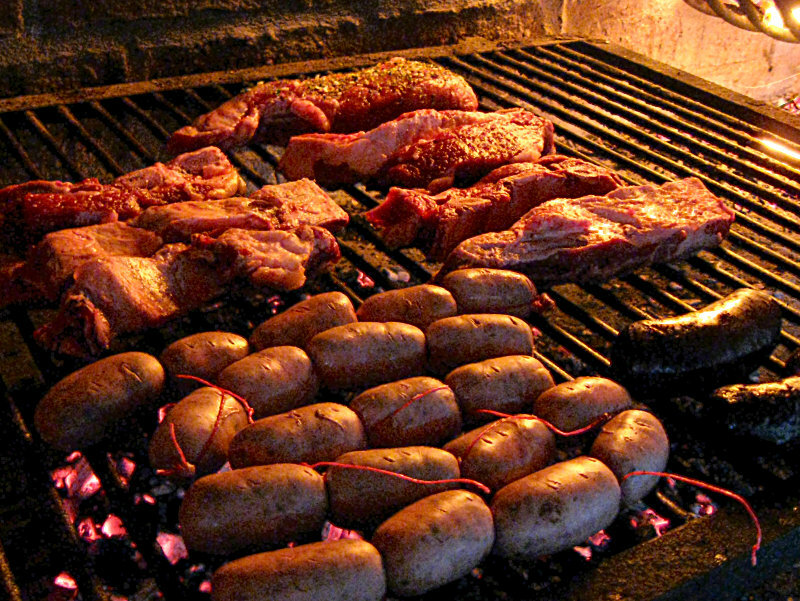 Our 'Barbecue Smoker' will cook your food slowly and tenderly to taste perfection. 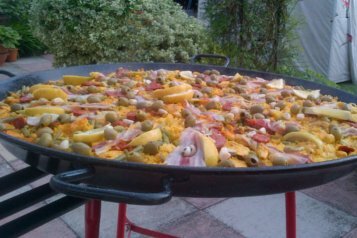 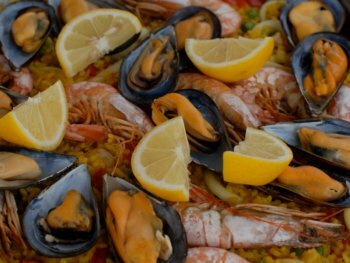 The smells and taste of freshly cooked Paella, hot straight from the pan. 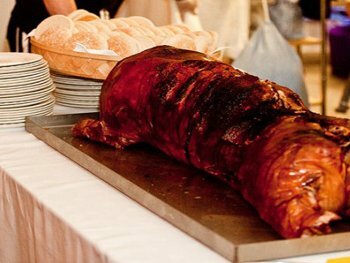 Truly memorable catering with wholesome hearty Wedding food. 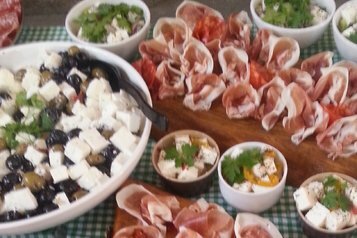 From light bites to sharers fit for a large party table feast! 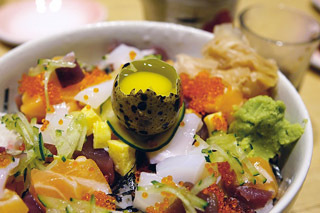 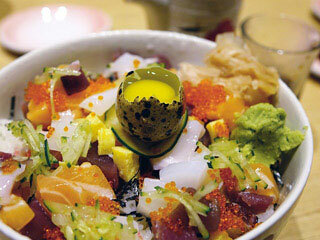 We also provide exceptional salads and fantastic vegetarian dishes; we believe in great taste! 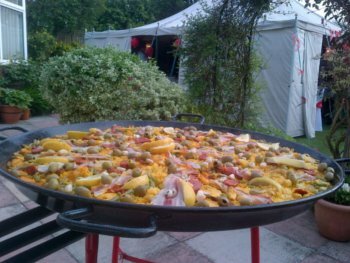 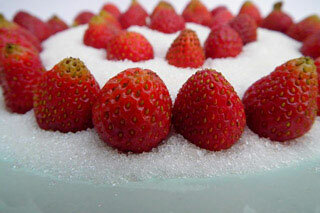 Whatever the type of event we cater for, our desserts and other menu items will delight.